The Far East Film Festival in Udine, Italy, has established itself as the premier forum for introducing popular East Asian film to Europe. As any good festival should do, it also runs retrospective programs in addition to its programs showcasing new films. Mark Schilling, the longtime critic for the Japan Times and author of such books as Yakuza Movie Book, has programmed a number of Japanese film retros at Udine, including the one that led to the book No Borders, No Limits: Nikkatsu Action Cinema. His task in 2016 was to do a series on Japanese sci-fi and fantasy films that went beyond the kaiju films people are used to. 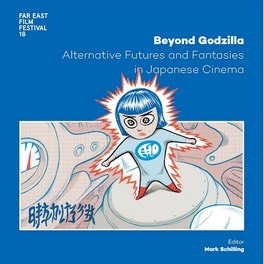 Entitled “Beyond Godzilla: Alternative Futures and Fantasies in Japanese Cinema,” it featured ten films and a special visit by Obayashi Nobuhiko, whom we hosted at Yale in 2015. Mark also edited the catalog and asked me to pen a history of Japanese sci-fi and fantasy films before WWII. That was quite a task because most of what was made no longer exists. For instance, only pictures of the infamous King Kong Appears in Edo (Edo ni arawareta Kingu Kongu, 1938) survive. 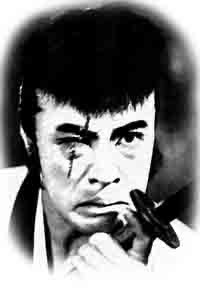 A few films are still available for viewing, such as Makino Masahiro’s Shimizu Harbor, Part II (Zoku Shimizuko, 1940) or Yamamoto Kajiro’s Son Goku (1940), starring Enomoto Ken'ichi, but that’s not enough for an article. So I was very fortunate that Takatsuki Maki recently published a history of pre-war Japanese sci-fi films entitled Senzen Nihon SF eiga soseiki. It offered a number of examples, ranging from Bando Tsumasaburo’s aborted Judgment of the Sprits (Rei no Shinpan) to the Kyokuto Studio’s ultra-B samurai films featuring robots, which I used to discuss the complex cultural position of sci-fi in the prewar era. I spent the most space discussing Son Goku, a wild and fascinating fantasy work that starts out as Journey to the West but ends with a science fiction comedy complete with robots and “opera gas.” It was a fun article to write. The catalog looks great, with wonderful illustrations, and is supposedly available for purchase. But so far I’ve only found it available on the Italian Amazon (click here). Perhaps Mark will find another publisher to reprint it.